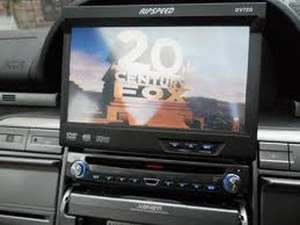 *LIMITED STOCKS - FINAL FEW AVAILABLE* Refurbished Ripspeed DVD740 Single DIN DVD/MP3/CD player for your car, featuring front USB/Aux-in connectivity, SD card slot, 7" TFT display & a fully detachable front panel for added security . • Playback support for MPEG, AVI, WAV & ACC video file types from SD and USB. • There is no Divx function on the DV740 which means DVD disc, USB and SD cannot play Divx format. so good they have loads of refurbs in stock... nah.